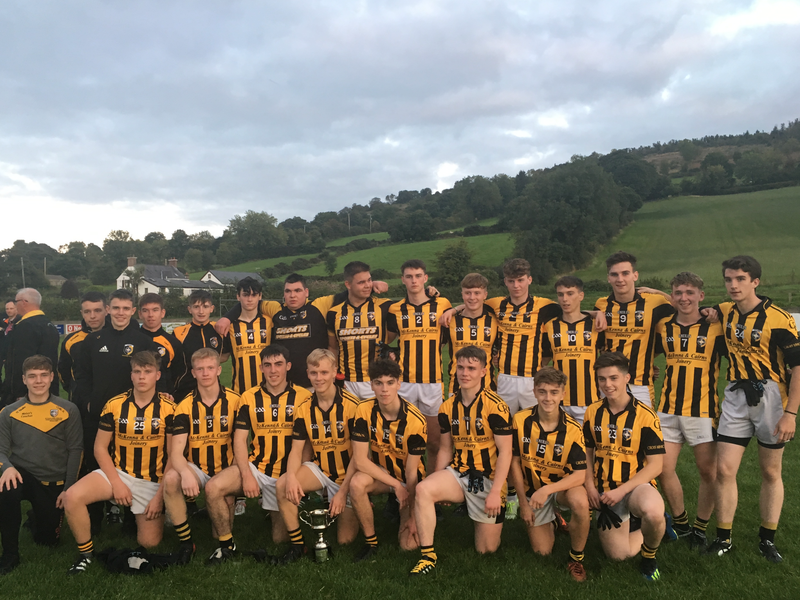 Carrickcruppen was the venue the Armagh U18 Division 1 League Final. The Lurgan boys started the strongest, scoring 1-02 in the opening minutes, the goal the result of a penalty converted before we got our opening score, an Oisín Doyle point. That point signalled a scoring spree for Oisín, scoring a magnificent 2-03 to Clan Eireanns three points in the next fifteen minutes. 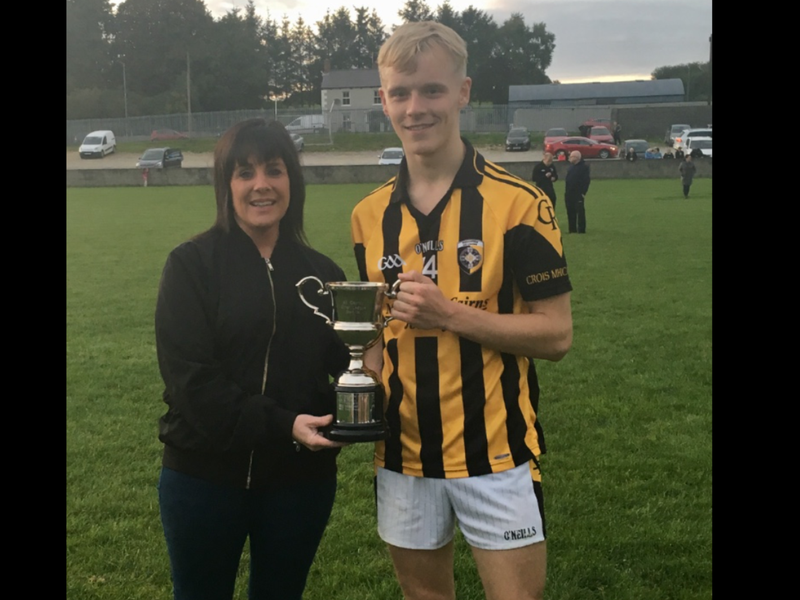 The second half was only underway when Eoghan McMahon and Ryan Duffy got their names on the scoresheet with a point each. Clan Éireann responded with a goal and a point to reduce the deficit but we remained in control of the game. 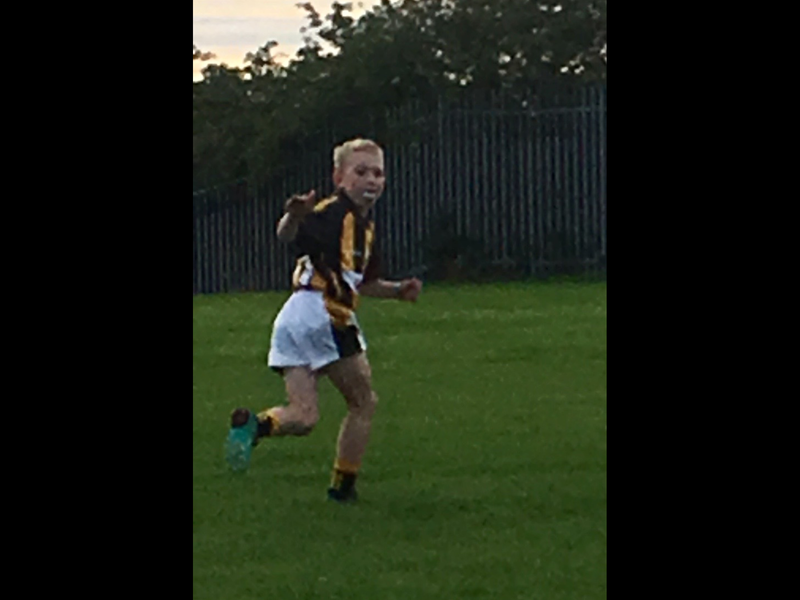 Oisín Doyle scored another point to add to his personal tally. 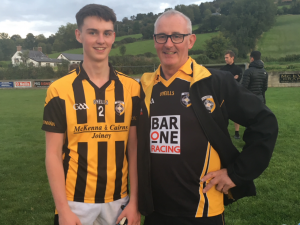 A superb shot was blocked by the Clan Éireann goalie which rebounded and Cían McConville kicked into the Clans net to give us our fourth goal of the game. Both sides exchanged points and at the midway point of the second half our lead was very much intact. Well done one to the entire squad on a fantastic all round team performance and to Managers, Stephen & Thomas and Peter( back room staff ). Our second game of the evening saw our seniors in action against Clann Éireann. Heavy rain left conditions very slippy. Two points in the opening minutes, Rían O’Neill and Tony Kernan got the scoring underway for us. 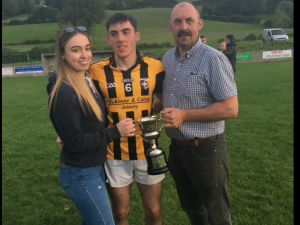 Clann Eireann’s , Conor Turbitt got their first point before we went on a scoring spree, we registered 2-02 ( Rían O’Neill & Paul Hughes our goal scorers).Clann Éireann scored a point and midway through the first half we had a comfortable lead. Both sides exchanged points at the start of the second half but we were very much in control, registering a trio of points without reply. A Clann Éireann point in the fortieth minute preceded our third goal, Kyle Carragher the goal scorer. Our seniors topped the table in group B and are now through to the quarter finals. Well done to the entire team and management on a super win. Our first game at home saw our Seconds against Ballyhegan. Stephen McKinley was the man in charge. We settled quickly, two points from John Murtagh(1,F) and one from the boot of Ryan Conlon put us three ahead before Ballyhegan scored two quick points in the tenth minute to leave it a one point game. Both sides exchanged points before we got three unanswered points to leave us ahead by four with ten to go until the break. 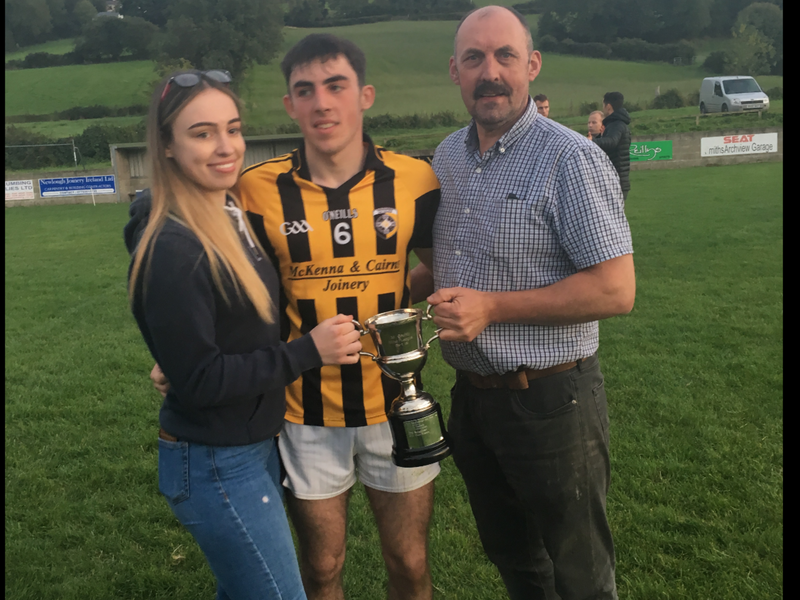 Ballyhegan had a point on the board seconds after Stephen McKinkey had thrown the ball in to leave it a two point game. 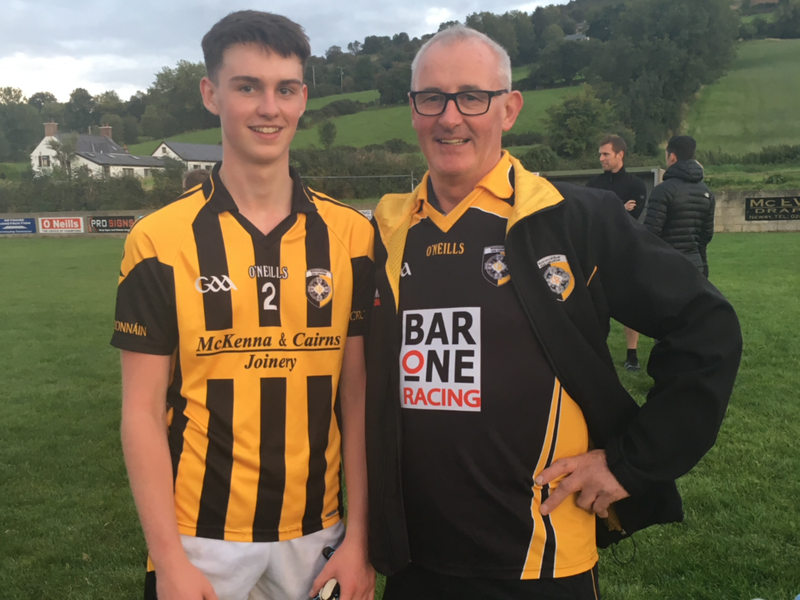 John Murtagh got his first goal of the evening which was quickly followed by a Ballyhegan point. Two points a piece from each team and as we entered the final quarter we were still ahead by four. As the minutes ticked down on the clock, we scored another three points to Ballyhegan’s two and in the final seconds of the games, a John Murtagh point seconds before the score of the game came, thanks to a superb strike from the boot of John Murtagh which landed in the back of the Ballyhegan net, a fitting way to end the match after a super team performance. We send our very best wishes to Daniel Cumiskey & Daniel Cunningham who both sustained injuries during the match. 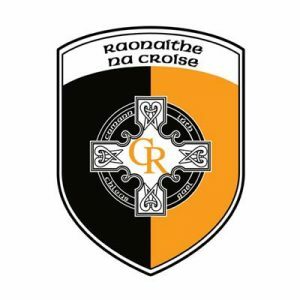 The lads now play Wolfe Tones in the play offs next Saturday in the Athletic Grounds at 5.15pm. 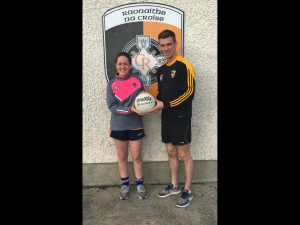 Garveys, Bar & Restaurant, New Road, Silverbridge sponsored the ball for our Senior Championship fixture with with Clan Éireann on Saturday evening. Thanks very much to Brendan & the Garvey family for your sponsorship and ongoing support for the club. 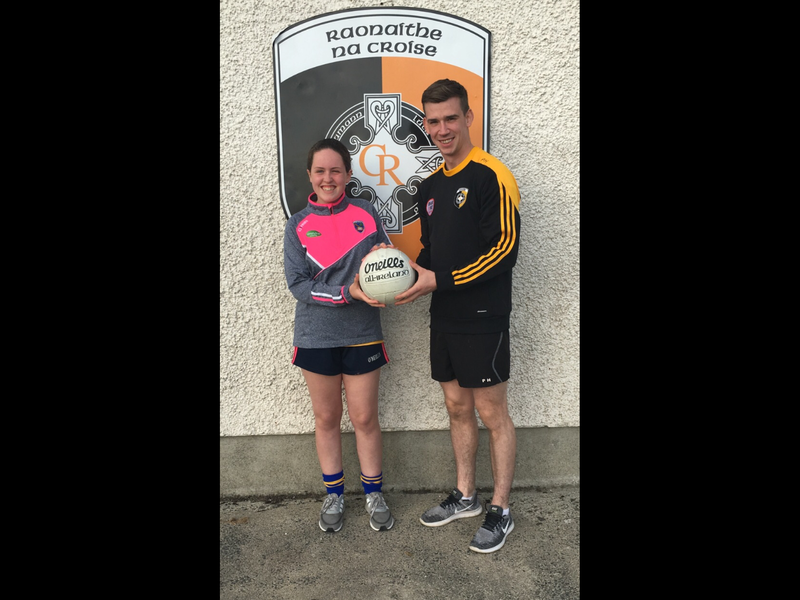 Pic Below; Ellen Garvey presents the ball to Paul Hughes. Our first game against Cullyhanna was a tough encounter. The game ended in a draw thanks to a Bernard Cassidy point which was the equaliser. 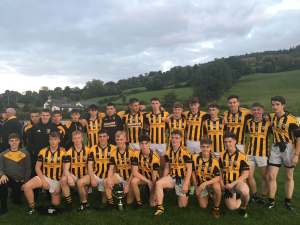 Cullyhanna and ourselves beat Dromintee and on a narrow score difference we booked our place in the final to play hosts Mullaghbawn which takes place next Sunday evening in Mullaghbawn. It was an excellent team performance with every member of the squad playing a part. Our U6 team were in action at the weekend with a home fixture against Silverbridge. Well done boys and girls on a brilliant performance. 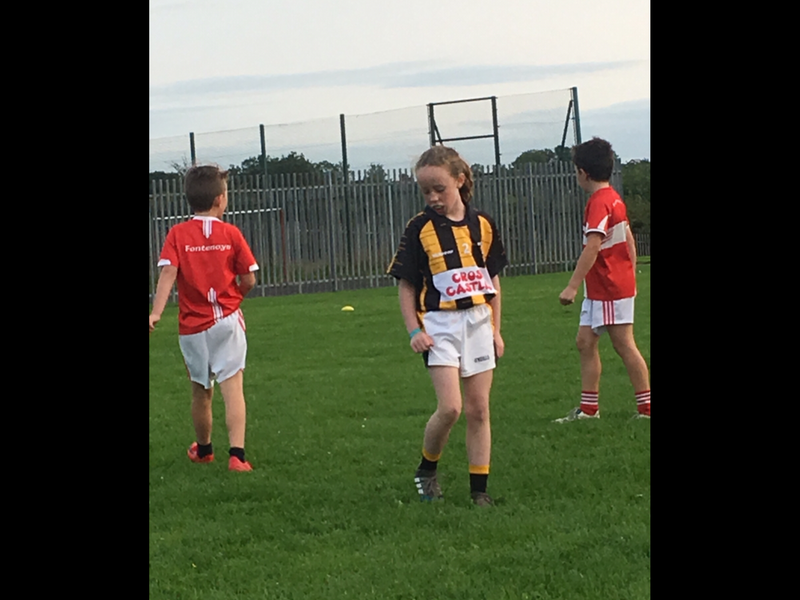 The U10’s had an early start on Saturday when they travelled to Burren to take part in a tournament hosted by the County Down club. The boys put in a tremendous effort, well done to all involved. Pic Below; Twins Tiarnān and Brinán O’Sullivan from New York who trained with the U10’s squad recently. Their Mum is Charlotte Donaghy, formerly of the Dundalk Rd. Over two hundred guests enjoyed a marvellous evening of good food, music and craic yesterday evening in the hall. There were spot prizes and some fantastic prices were won in the raffle . Well done to the organising committee on what was a superb evening and I think this will be now be a yearly event. Many thanks to our hosts/hostesses who worked tirelessly to ensure the event was a success and thanks who all who attended and supported the tea party. Finally our sincere gratitude to all those listed below who donated prizes for the raffle, it was very much appreciated. 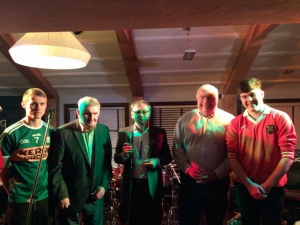 Watters Old Coach Inn, Castleblayney had two very special guests at their September “Hooley in the Coach “. 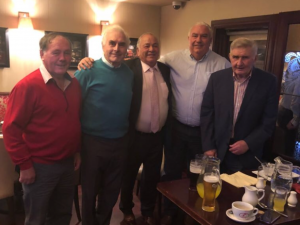 All the way from the kingdom, Mick O’Dwyer and our very own Joe Kernan. 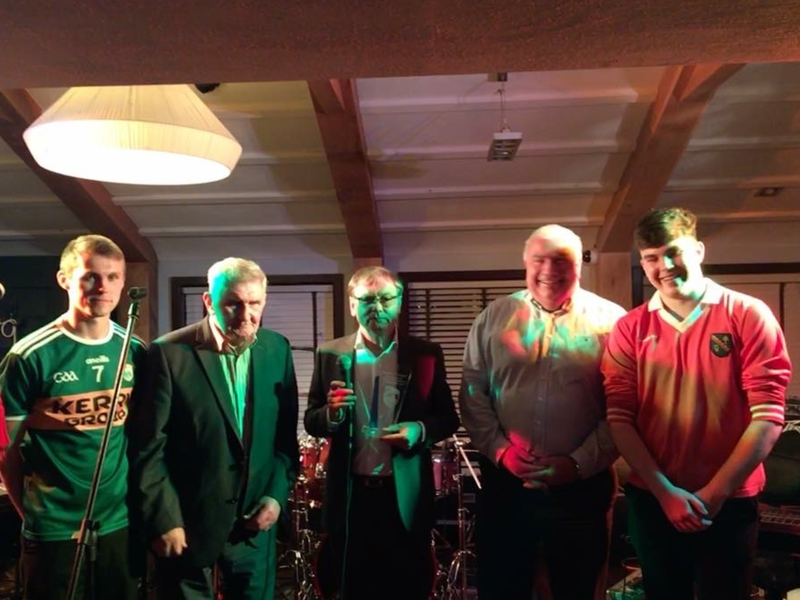 Raymond made a special presentation to Joe in recognition of his recent induction to the GAA Museum Hall Of Fame. 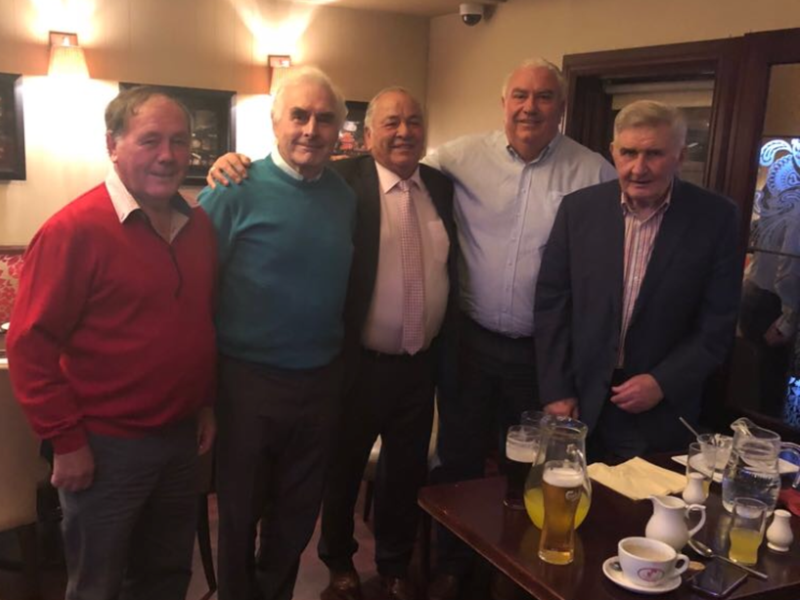 It was a fantastic evening where the two legends met fans and reminisced. Well done Raymond and staff on hosting a very entertaining evening. 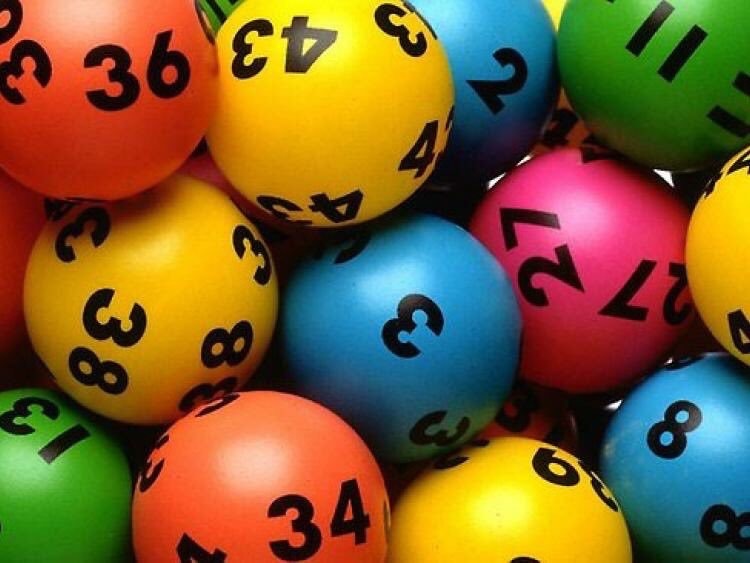 8 matched 3 numbers; Darina McConville, Sarah Fearon, Elish Mackin,Cullyhanna, Padraig Haughey, Derrynoose, Margaret Caraher, C/O Benny McShane, Ryan McKeever, Corliss, Francis Martin & Seamus Murphy, Poyntzpass. Well done to our match three winners. We send our very wishes to Dermot Casey who is recuperating after a spell in hospital. Get well soon Dermot. Happy birthday to Tony Morris who celebrated a significant birthday at the weekend. 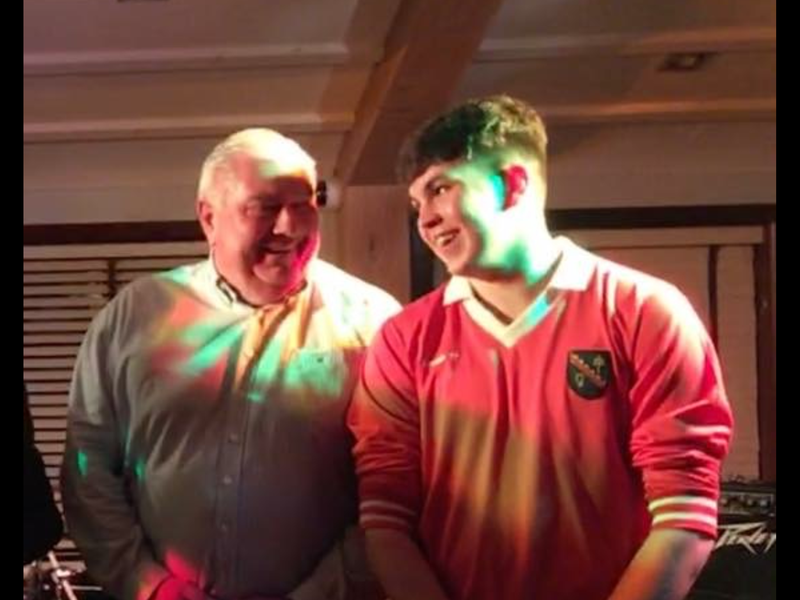 The winner of the half time draw which took place during the Senior match on Saturday was Paddy Kindlon. Well done Paddy. 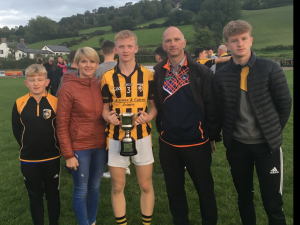 Crossmaglen Rangers GFC send their deepest condolences to club members Fintan, Olive, Sean and Dan McWall and the extended McWall family on the recent passing of Fintan’s Father, Jack. Posted: September 9th, 2018 under Club News.